A Mobile Food Vendor is a food business predominantly operating from a van/truck or purpose built trailer. Stalls and marquees are not considered as mobile food vendors. Mobile Food Vendors must be self-sufficient and generally do not require external power or water connections. Please complete the form with the relevant attachments as per below. Payment must be made in full before a permit is issued. Turnaround time for a permit to be issued will be a minimum of ten (10) working days. 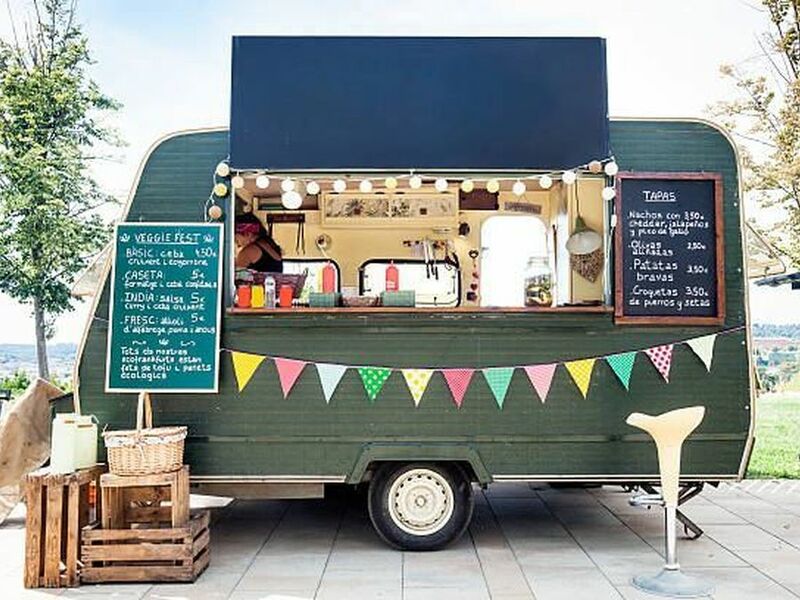 A mobile food vending business requires a permit under section 222 of the Local Government Act 1999 to operate a business on a public road in the Council area. A condition of a permit is that the permit holder complies with location rules adopted by the Council under Section 225A of the Local Government Act. New state government legislation came into effect on 1 March 2018, with specific changes relating to Mobile Food Vending Permits. Please read through the following documents relative to applying for a Mobile Food Vending Permit. Permits are open all-year-round and can be applied for at any time. Permits are available on a monthly or a yearly basis. Permits will be valid from the date of issue. Complete the available permit application form above. The form should be submitted along with the required documentation. Public Liability Certificate of Currency for the amount of $20 million. Copy of your Food Business Notification with the local Council where your vehicle is housed, or where the majority of the food preparation and food handling is occurring. If participating in a Community Event, provision of written approval from event organiser. Once your application has been assessed, a Council Officer will make contact with you to organise payment of the relevant fees. How long are permits valid for and how do I apply? Mobile Food Vending permits range from 1 day – 12 month periods. Payment must be made in full before a permit is issued. Turnaround time for a permit to be issued will be a minimum of five working days. Permits will be valid from the date of issue. Please note; lodging less than 5 days prior to an event will not guarantee approval, please allow sufficient time for the application process. I have more than one Mobile Food Vending vehicle/setup, does my permit cover all of these? Your mobile food vending permit is only for one of your vehicles. You will need to list the registration of your mobile food vending vehicle/set up on your permit application. This is to ensure that a mobile food business with multiple vehicles cannot apply for one permit to cover the entire fleet while paying the same price for a permit as a single operator. A separate permit will be required for each mobile food vending vehicle. Do I need the permit to trade as part of an event? The Mobile Food Vending permit is only applicable for on-street trading. Trading as part of an event can be coordinated directly with event organisers. Where can I park my towing vehicle? The parking of any towing vehicle must comply with the SA Australian Road Rules, or as directed by Council Authorised Officers. What health guidelines do Mobile Food Vendors have to follow? As part of the application process, Mobile Food Vendors must include Proof of Notification of a food business from the local Council where the majority of food preparation and food handling occurs. The Town of Gawler Environmental Health Officers conduct regular and random inspections of food premises. What happens if Mobile Food Vendors do not comply with the guidelines? A Mobile Food Vending Permit may be cancelled or amended if the permit holder fails to comply with the permit conditions outlined in the guidelines. What other opportunities are there, other than the Mobile Food Vending permit? Trading can still occur as a temporary food stall at events or markets as arranged directly with the event or market organisers. • To ensure public safety mobile food vending requires a permit to be issued by Council. • Permits are valid for operational durations on a monthly or yearly basis. • Permits are not transferable unless written permission is granted by Council. • The permit is to be carried at all times while vending and produced upon request by an authorised Council officer or Police Officer. • A mobile food vendor must not be located within 200m of a fixed food business during the opening hours of the fixed food business. • A mobile food vendor must ensure that their operation does not obstruct or interfere with persons using the public road, or persons living, or business operating, within the vicinity of the site. • Council can condition, modify or revoke a mobile food vending permit as it sees fit. • The sale of alcoholic beverages is not permitted. • Free samples are only to be given in conjunction with sales.